Did You Find Mold in Your home? Act Now- Mold Grows Fast! Here are some questions and answers that you may have regarding mold in your home. When should you call someone to help you take care of a mold issue? In the Bathroom: Call a professional remediation company if you find mold outside of a small area. For instance, if the it’s just in the bathroom around the tub or toilet, you can possibly handle it with household cleaners. If the problem is a large water leak from the top level bathroom of your house that ran downstairs and leaked into the walls or ceiling, you should call a professional. 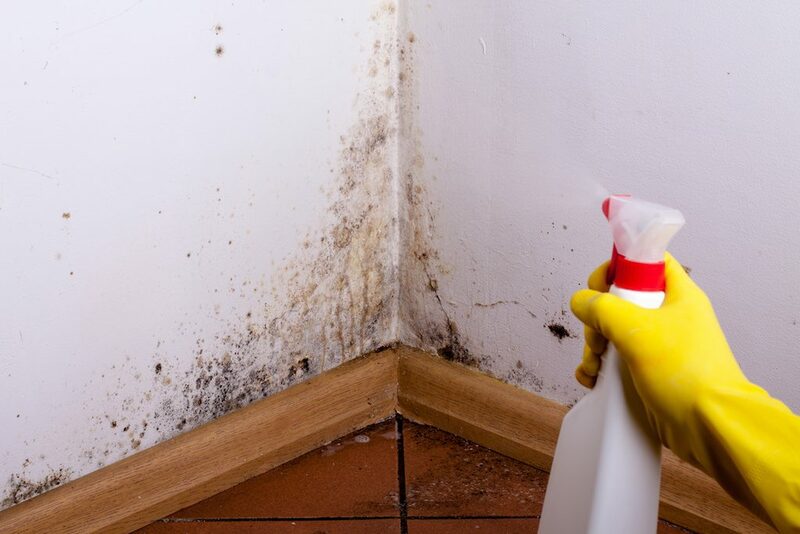 You don’t want hidden mold (behind walls or under the sub-floor, for instance) to get worse and grow into a larger problem! If you aren’t sure if your issue can be handled alone, call the pros at One-Eighty solutions. In the Kitchen: If you spot mold in a small area in the kitchen, and it has not spread to any other areas, then you may be able to handle it yourself. If you see that the mold has gotten under the kitchen sink, ruined the wood in the cabinet and the floor surrounding the sink, you should call a professional. A wet sub-floor has the ability to make the tile or wood buckle, and cause musty odors in the kitchen. If the lower cabinet is wet, it will continue to deteriorate and can break apart, ruining what is below. In the Basement: Handling basement mold can be tricky. Always remember: a basement should be dry. If the basement wall or cement floor continue to get wet with every rain shower, the problem will get worse and ruin your home! 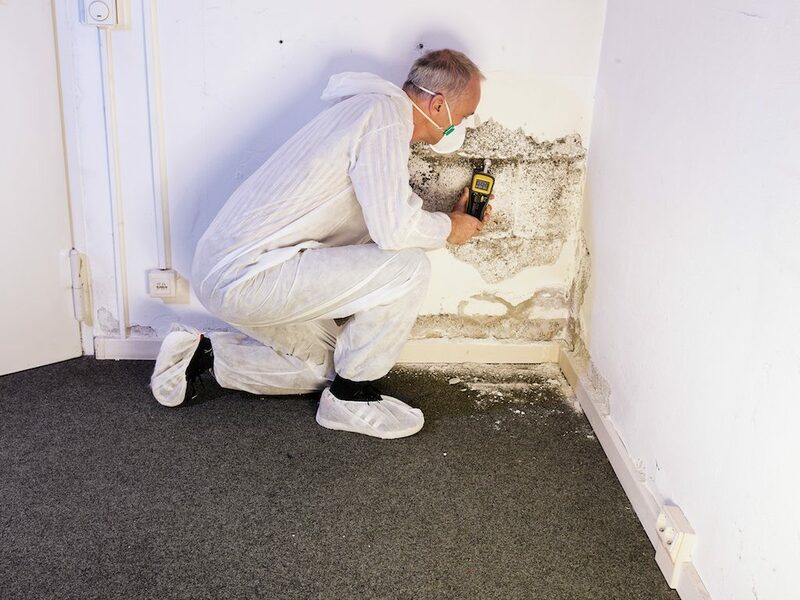 Even if the issue is your foundation, if moisture gets in and it isn’t removed or eliminated, the mold will find a home and multiply in a musty basement. Mold spores will continue to grow and multiply until your home becomes unlivable. With almost any basement mold issue, call a professional mold abatement company, like One-Eighty solutions. This is one area where household cleaners won’t impact a larger problem. In the Air-Ventilation System: If you smell mold in the home, but you can’t find it or don’t see the source, we may suggest a look at your ventilation system. Spores grow in damp air. If your air conditioning gets wet or damp on the inside, just imagine how quickly spore can grow and spread in the hot summer months when cold air is constantly blowing through the air vents. You may need to have your air vents cleaned. Don’t waste precious time with a possible mold problem! 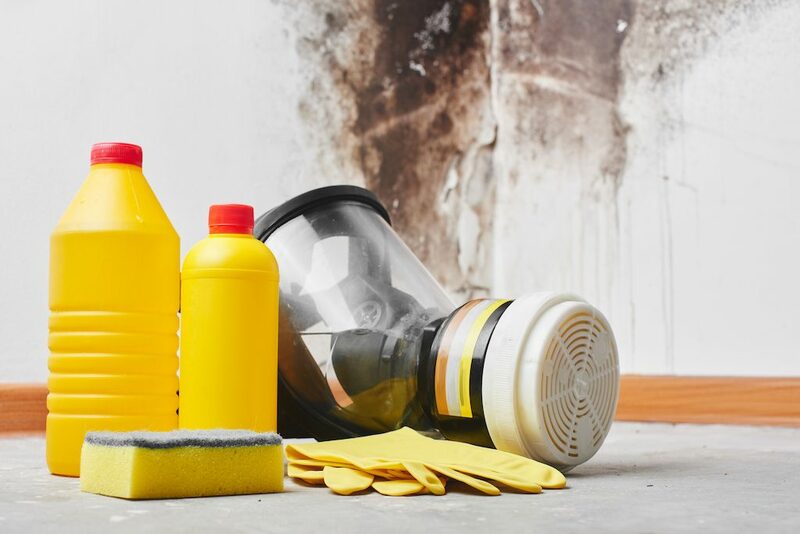 When in doubt, call a professional mold abatement company, like ONEighty solutions. How Can Mold Still Grow After I spray it and clean it? Spores will hide in porous and absorbent materials. An example of porous materials are ceiling tiles, carpeting, and sub-flooring. These materials create great hiding places for mold and moisture. For this reason, they may need to be disposed of properly instead of just cleaned. Call a professional for a second opinion, if you are trying to save items in your home, or if you are trying to avoid replacing walls or ceilings. It is important to limit your exposure to spores when cleaning. If you are trying to clean up a mold problem yourself, be sure to wear protective gloves, a face mask and protective eye gear. If mold spores become air-borne and are breathed into your lungs, you could become sick with a number of breathing problems or sinus issues. The EPA upholds these standards when cleaning mold: “For respiratory protection, (the N-95 respirator) is recommended. Respirators must be used in accordance with the OSHA respiratory protection standard (29 CFR 1910.134). Gloves and eye protection should be worn”.